Pushups For Beginners. Do your first pushup, then 100 more! The pushup is one of the most important exercises that a newcomer to fitness can do, but it can be difficult for many people. I know some of you cant do a single pushup and the idea of being able to do 100 seems as remote as being able to fly to mars but I will give you a five phase program to build up your strength. 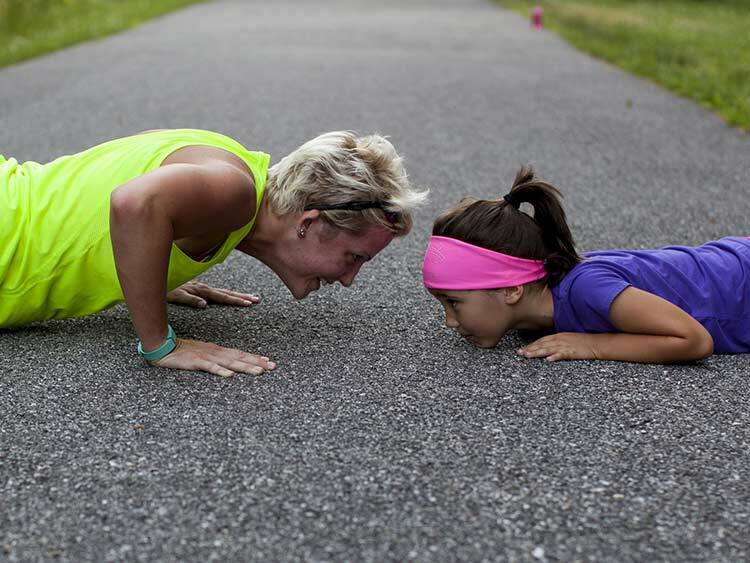 Man or woman, 13 or 60, you can build up your strength and stamina so that you can do 100 pushups. If you can already do 10 pushups and want to do 100, skip to phase 3. How long will it take for you to be able to do 100 pushups? It depends on many factors including your age, weight, nutrition, sleep, and genetics. Count on 3-12 months to get to the point where you can do 100 pushups. First, a quick word about weight. There are lots of reasons to get leaner and lose fat and I’m about to give you another one. The #1 way to make pushups easier is to weigh less! Every pound of fat is a boat anchor holding you tightly to the earth.